This month the Coastal Ambassadors will learn about living shorelines from our Coastal Scientist, Tracy Skrabal. We will learn about the different properties and mechanics of these low-development techniques while celebrating the release of the new marsh sills general permit. After the presentation we will participate in some fun activities to test your knowledge and win some prizes! 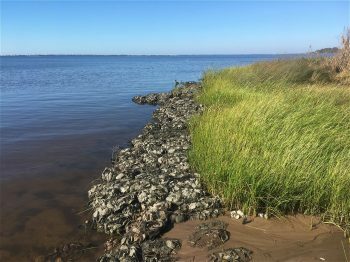 If you are interested in how the southeast branch of the North Carolina Coastal Federation promotes natural and productive estuarine shorelines then please join us on Tuesday, April 30 from 6:30 p.m. to 7:30 p.m. to hear from our Coastal Scientist, Tracy Skrabal, as she discusses living shorelines and their impact on our coast. If you are new to the federation or would like more information about the federation and how to get involved, please join us prior to the meeting at 5:30 p.m. for a volunteer orientation. The Southeast Coastal Ambassadors are a special group of volunteers that serve as representatives of the federation at festivals, programs and other outreach events. At the end of each month, the federation holds a Coastal Ambassador training meeting with a volunteer orientation held beforehand. 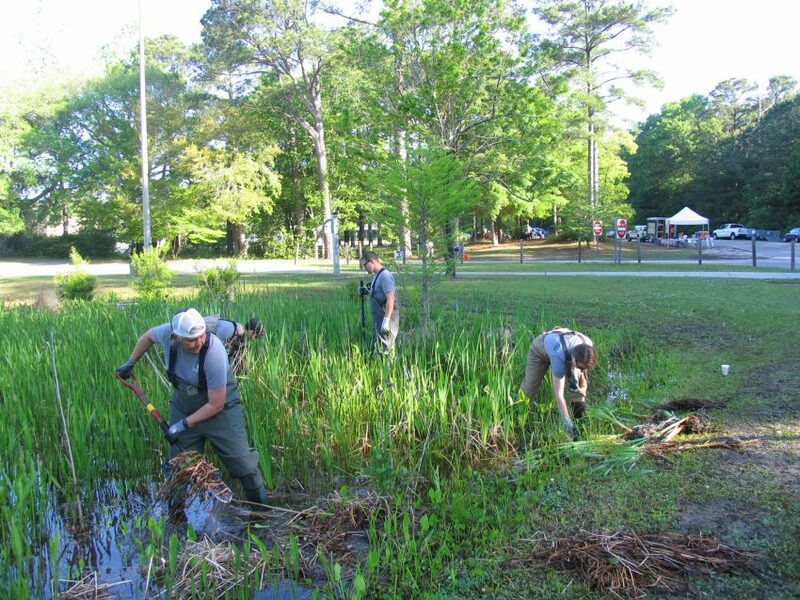 The program is designed to be fun and interactive, allowing volunteers to socialize with one another while learning more about the work of the federation and our coastal environment. Ambassadors are required to attend at least three meetings per year and participate in a minimum of three federation volunteer events. Those who wish to join the Coastal Ambassadors group are required to attend an orientation training session held at 5:30 p.m. before the evening program meetings. The next evening program and orientation will be at the end of May. This program is for people 16 years or older.